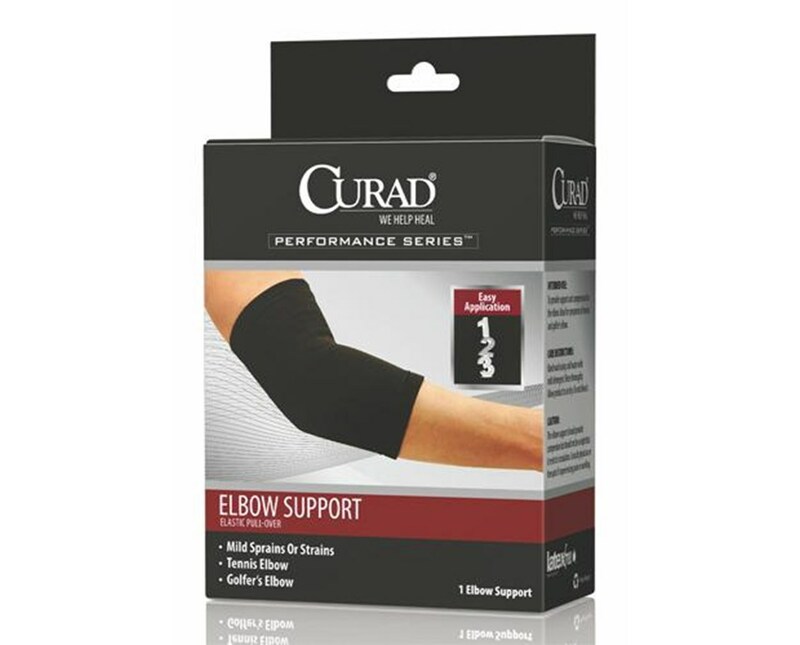 Curad's Pull-Over Elbow Support helps with ailments such as: mild sprains or strains, tennis elbow, and golfer's elbow. Its slip-on, pull-over design equals easy application, and it's made of latex-free elastic. 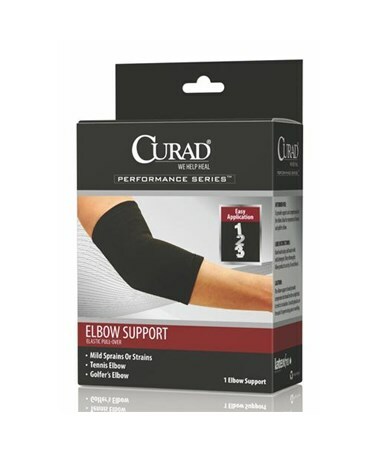 We offer Curad's Pull-Over Elbow Support in four sizes, sold individually. Select from the drop down menu above.